Regarding the definition of paper durability, although different research organizations can reach a consensus in terms of concepts, there are certain differences in the specific description. Take for example the two organizations ISO (The International Organization for Standardization) and ANSI (American National Standards Institute). The former defines the term paper durability as the ability of the paper to remain chemically and physically stable over long periods of time over a long period of time. The latter is durable to paper. Sexuality has more detailed and specific descriptions. Her definition is that the paper is stored under the normal use and storage environment of the library or file vault. After at least a few hundred years, the paper will not show any significant deterioration (The ability of paper To last at least several hundred years without significant deterioration under normal use and storage conditions in libraries and archives). The deterioration of the paper referred to in the above definition is generally understood to be a change in the characteristics of the paper, and it is more recognized than the strength of the paper and the brightness of the paper (Brightness, a measure of yellowing of the paper). The various physical and chemical properties of paper change over time, mainly because of the continuous hydrolytic degradation reactions of Cellulosic and Hemicelluloses molecules in the paper. The rate of degradation depends on the temperature, the water content of the paper (ie, the relative humidity of the storage environment), and the pH of the paper. Studies have shown that pH plays an important role in the durability of paper. Most of the paper we use for printing is Acid Paper, which will speed up the aging of the paper. The acidity of the paper comes from bleaching agents in the papermaking process; the chemicals produced in the degradation of cellulose and hemicellulose (because they are acidic, this chemical further catalyzes fiber degradation); sizing on paper Sizing Agentâ€”It is a binder for the composition of the paper, and it can improve the water absorption of the paper. Usually, Alum and Rosin with acidity are used. Fillers on paper (Filler â€” Except In addition to fiber, another type of paper is mainly used to fill the space of fibers and fibers and give a certain weight to the paper; coating, etc. If we want paper to have a certain durability, in the papermaking process, we can use neutral or alkaline sizing materials and use alkaline fillers such as calcium carbonate to make alkali Alkaline Paper. Alkaline paper has the advantage of being able to neutralize the acids, chemicals, printing inks, and other contaminants produced by the degradation of fibers. For these pH values â€‹â€‹- an indicator that reflects the pH of a substance, the value 7 is neutral, the value less than 7 is acidic, the lower the value, the higher the acidity; conversely, a value higher than 7 is alkaline, the greater the value Larger, more alkaline.) Alkaline paper above 7 is also known as acid-free paper. ANSI also explicitly states that the pH of a durable paper should be defined between pH 7.5 and pH 10. If we want to reduce the speed of paper aging, in addition to starting with the paper itself, the preservation of the environment requires strict control. The temperature rises; moisture mixes oxygen in the air and oxidizes cellulose; light, especially natural light and ultraviolet light; pollutants in the air, tend to decompose organic cellulose into acidic substances and accelerate paper aging. Therefore, for some important documents or books, they should be stored in the absence of light, clean air, and appropriate and stable temperature and humidity. Many research organizations such as TAPPI (Technical Association of the Pulp & Paper), ASTM (American Society for Testing and Materials), and ISO have all hoped to completely simulate the natural aging of paper using Artificial Aging. . In general, this is done in hopes of accelerating the aging process of the paper by artificial means. We are able to predict the durability of the paper and change the composition and properties of the paper after a long period of time. Each organization has set up different test methods for everyone to follow. Take TAPPI test method T544 as an example, it is to put the paper in 50% relative humidity and 90Â°C temperature environment for a long time to study the paper's aging condition. Because the paper storage temperature and humidity need to be controlled at a stable level for a long time. Therefore, to perform this type of test, an Environmental Chamber that automatically monitors temperature and humidity is generally required to meet the basic test requirements. In order to predict the effect of the paper aging process on the properties of the paper, our approach is to test the characteristics of the paper before and after the artificial aging treatment and compare them. The choice of paper properties depends on the actual needs of the user, can be the mechanical properties of paper testing such as Folding Endurance, Tensile Strength, Tearing Resistance; Paper Optical properties such as brightness, opacity, and chemical properties such as pH. However, it is worth noting that, as of now, the artificial aging test of paper has only accelerated the aging process of paper under controlled circumstances, and the results obtained are not the same as the natural paper aging process. Therefore, different people are Aging tests may have different understandings. For example, some people will define that the paper will be stored in a 100Â°C environment for 3 days, equivalent to 25 years in the natural environment, but some people will understand it as 300 years. From this, it can be seen that there are many undecided places left to be studied by using the results of artificial aging tests. Therefore, for the current generation, the results of artificial paper aging tests are more suitable for research and reference purposes. Picking up fruit and vegetable is also a knowledge to learn. Some fruit and vegetable are better handled, while others require peeling, nuclear work, etc., which is more troublesome. So they will require some tools to help. 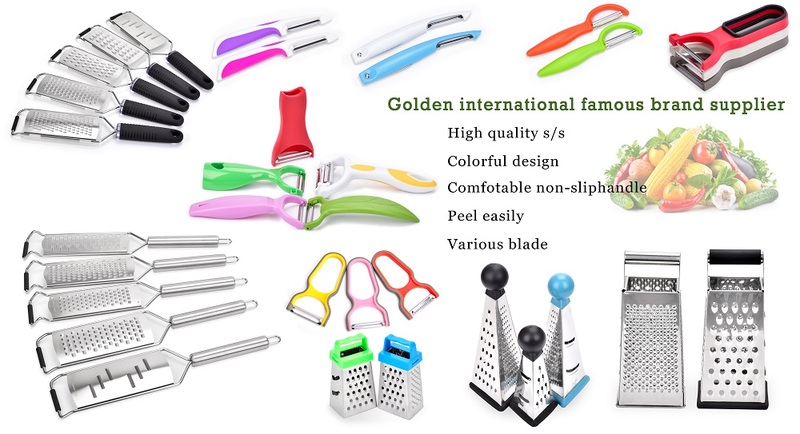 The use of these tools to deal with the fruit and vegetable, in addition to the convenience, and more importantly, the powerful processing function, allows us to have more space to eat the fruit and vegetable, let it no longer limited to eating directly or cutting fruit and vegetable.